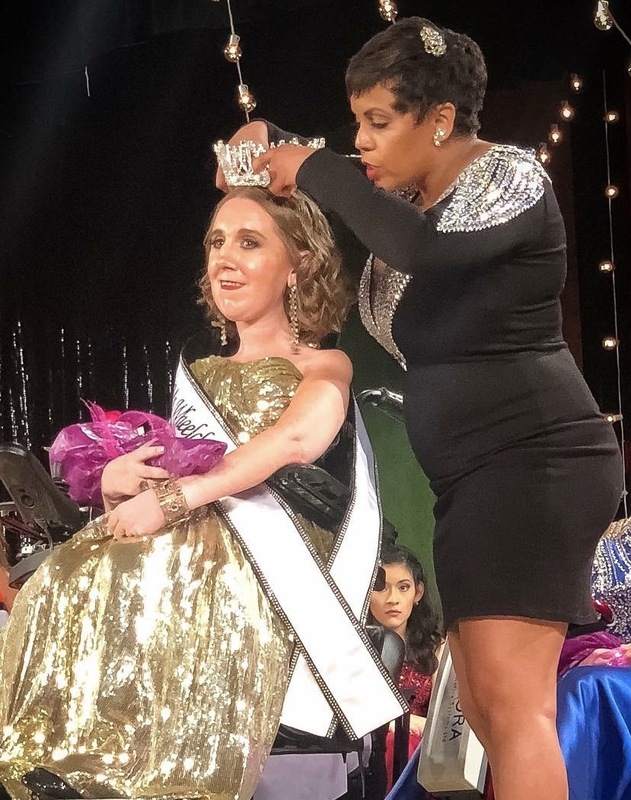 I know this post is overdue, but it has really been such a whirlwind since I was crowned the new Ms. Wheelchair USA last weekend - interviews, appearances, and many, many Facebook friend requests! But the week spent in Ohio leading up to the pageant, and the pageant itself, are things that I definitely want to share here. As exciting as the pageant itself was, I don't want to neglect to talk about the rest of the week I spent in Ohio. I (along with the rest of my family, and my dog!) spent the whole week before the pageant in Stow, Ohio. My dad, sister, and dog mostly spent the week hanging out the hotel and exploring the area nearby (it took a while for my dad and sister to be able to leave the hotel room without Lily freaking out! ), but my mom and I were kept quite busy. Each day, the 10 contestants plus their "companions" (in my case, my mom), made appearances all around the Stow and Akron area. Everything that we did varied - one of my favorite stops was to the Hartville Marketplace - a huge indoor/outdoor shopping center, with everything from specialty food, to a giant hardware store, to antiques, to a "steampunk" hat designer, who designed our custom hats for the opening number in the pageant. We drove to Ohio in two cars, so that my dad and sister would be able to leave the hotel while my mom and I were busy... and I decided that there was enough room in the second car for a small end table they were selling at the market! 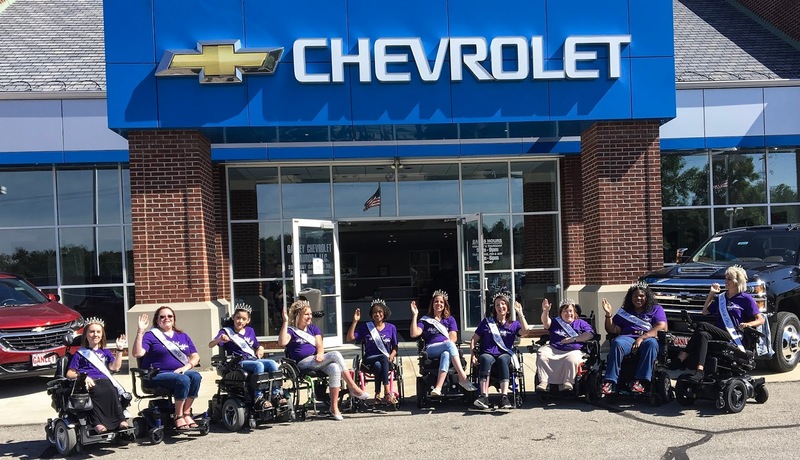 We also visited the local Ganley Chevrolet dealership, who sponsored a community service award given out at the pageant, and the Akron-Canton Food Bank. The food bank was one of my favorites, as a public health researcher/student - it was amazing to see the size of their operations, and how many communities they serve! Another favorite activity was when lawyer Ed Zwilling came to educate us about the Americans with Disabilities Act, our rights, and how to be advocates. It was a really busy week! There was also a painting night, where I bonded with my Girl Scout paint partner over Hamilton and Disney, and lots of rehearsing! The best part of all these activities was the time spent getting to know and spending time with the other women in the pageant. We all had our differences, but all really enjoyed spending time with each other. Each woman had such an amazing story and platform, and I know that they will all continue to do great things. I actually had to sit out an activity or two to make sure that I was taking care of myself and my health, and getting the rest that I needed, because the actual pageant started early Friday morning with private interviews with the judges. We were all incredibly anxious, but relieved afterwards - the judges were all very kind and supportive, and really did seem to want to learn more about ourselves and our platforms. When interviews were over, we did a quick final run through, and then got ready for the on-stage part of night one! We were lucky enough to have professional hair and make-up artists provided to us for free on both nights, which was incredible! They did a fantastic job and everyone looked so beautiful. And then we were off! 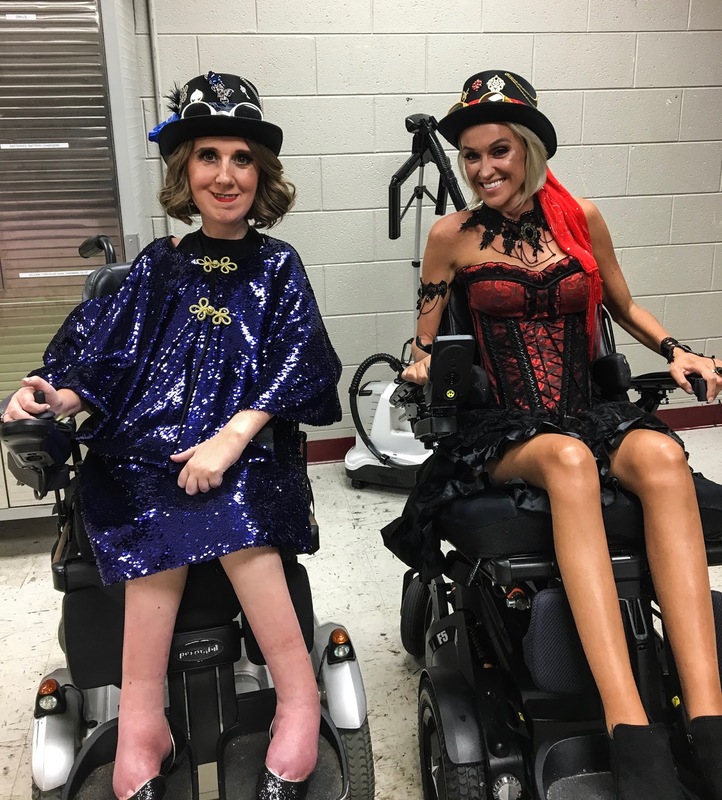 The theme of the pageant was "A Celebration of Humanity," so we did an opening number to "Come Alive" from The Greatest Showman, and then moved on to on-stage interviews and our platform speeches. Before the first night ended, a few of the awards were given out. Night two was similar to the first - we started with our opening number, and then did another on-stage interview question. Next, the top five were announced, and after that, we went immediately into our marketing speeches - what we'd do to market/publicize our platform/Ms. Wheelchair USA/The Dane Foundation if we won. 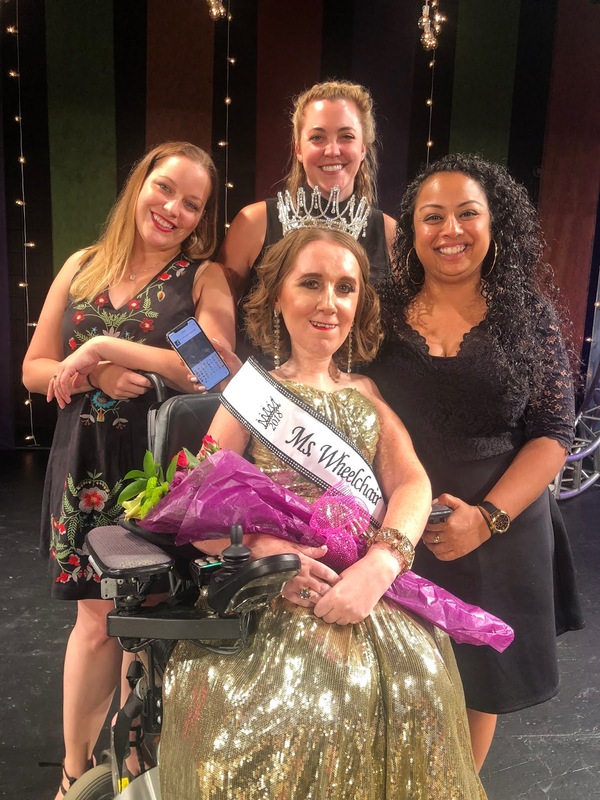 The top five did one final on-stage interview question, and then we came to the nerve-wracking part - the announcing of the new Ms. Wheelchair USA. I know it sounds incredibly cliche, but I honestly did not know that I was going to win. After spending so much time with all the other women during the week, I could imagine any of them going on to take the title and do great things with the platform! But I am very, very honored and excited to have won and to have been given this chance to really take my advocacy to the next level. I was very lucky to have so many of my friends and family in the audience both Friday and Saturday nights to support me and cheer me on. My aunt and uncle made the trip to Ohio and stayed both nights, another uncle was able to be there on Friday, and friends traveled from Michigan, New York City, and Pittsburgh to be there for my crowning Saturday night! And of course, my mom, dad, and sister were willing to spend the whole week with me in Ohio! It was truly a surreal experience, and one that I highly recommend to anyone considering it. I'll be sure to keep you posted over the next year on what I'm up to! Heather, you are a wonderful inspiration to everyone. In the short time that you have been Ms. Wheelchair you have made all Pittsburgers proud. Congrats and thank you.